Team Lost Boys is off to a splendid start. We’ll leave the choice of our team name as an inside joke, but it was instantly unanimous. Our team members met each other for the first time on Sunday morning, January 6th. We come from Houston, Florida, and 2 of us from Colorado. 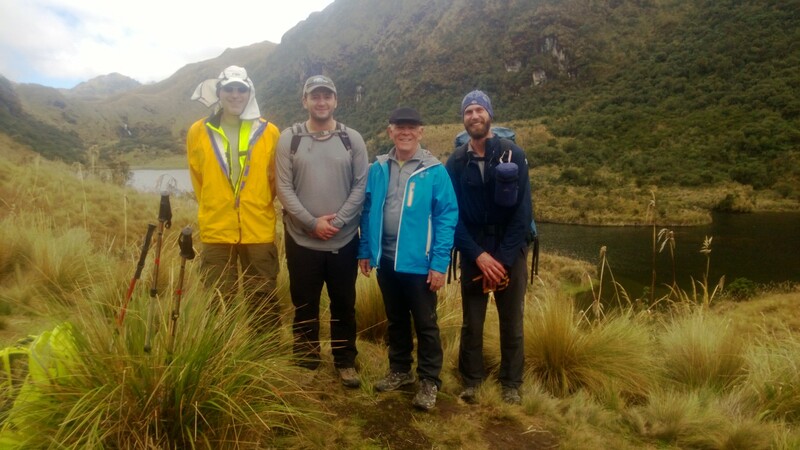 We range in age from 30 to 61 and come from varied professions, but having been part of previous expeditions, I can say we have that rare occurrence of being well-suited for each other and an instant rapport one with another. Our guide Jose Luis is splendid. Sunday found us touring colonial Quito. It was extremely informative thanks to the comprehensive knowledge that Jose possesses. We saw many fine examples of colonial architecture, viewed two wonderful catholic churches, the Jesuit church in the baroque style and San Francisco, Quito’s earliest church built. We also viewed the presidential palace, and being with Alpine Ascents, gained us access to sights not available to others. Team dinner followed that evening which included swapping mountain climbing experiences, exaggerations perhaps, and lots of laughter. 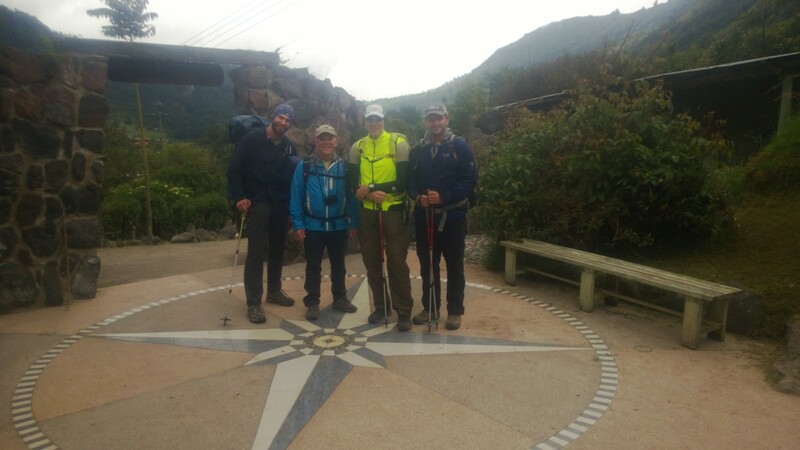 Monday found us meeting at the lobby at 9am for our first acclimatization hike. 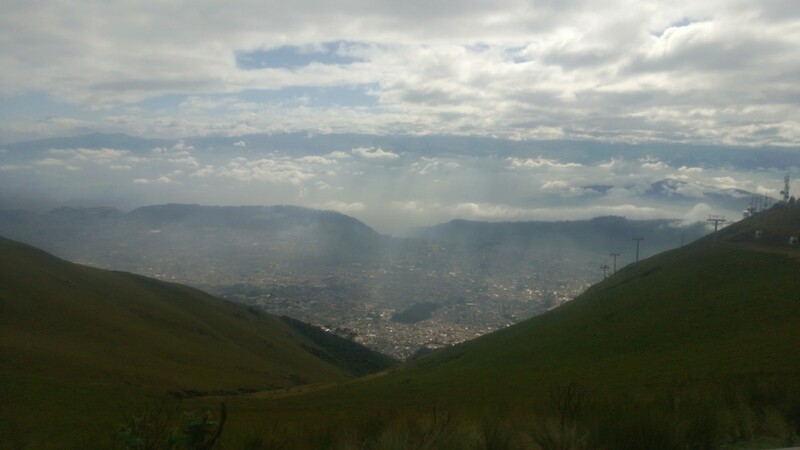 We took a gondola to 13,021 feet, from where we hiked up to Ruco Pichincha at 15,413 feet. 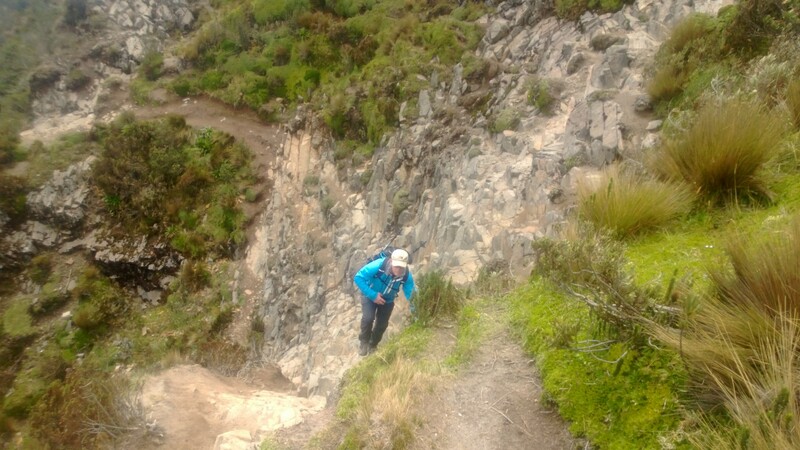 On the climb up we were privileged to have an Andean condor fly up about 100 feet over our heads. They are on the endangered list with only 70 left in Ecuador and Jose said one has not been seen in this area for several years. 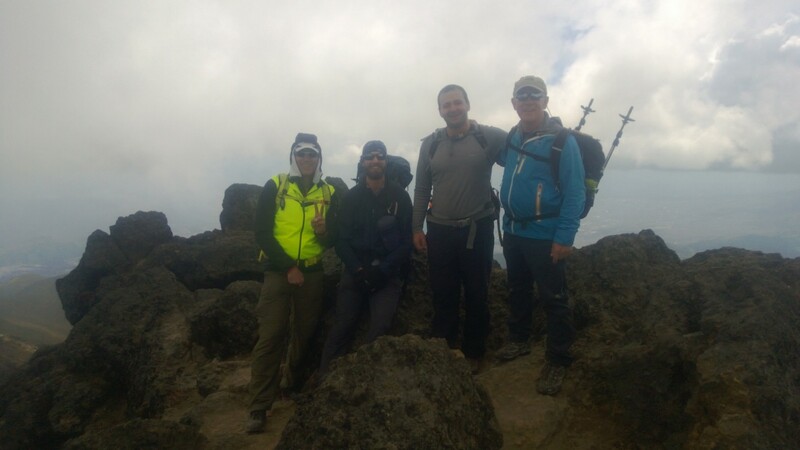 All team members gave a good accounting of themselves in reaching the summit and seemed to be well-suited to each other. The weather held for us and provided for an excellent climb. 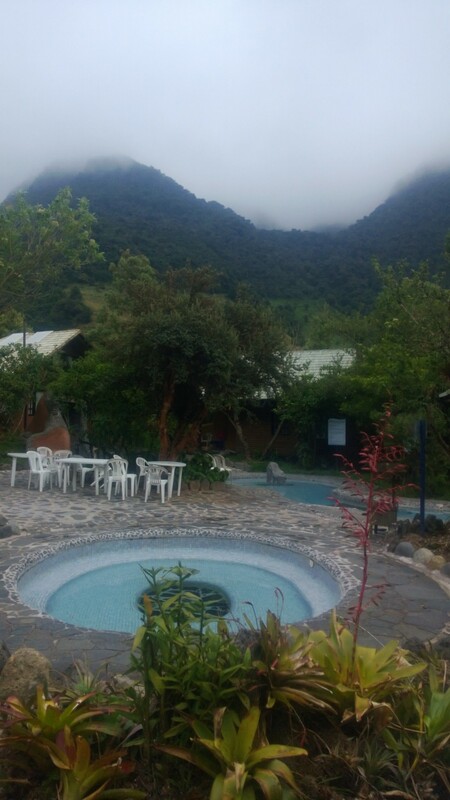 Upon returning to the base, we boarded a small bus for a 3 ½ hour drive up and over the eastern mountain range to Termas Papallacta, a hot springs spa and cabins. Dinner followed immediately as we were hungry and lost boys. The trout and steak were excellent. As I put my thoughts in order for this report, other team members are soaking in natural hot spring pools just outside our front door. Mountaineering isn’t supposed to be this luxurious, but we’re not complaining. 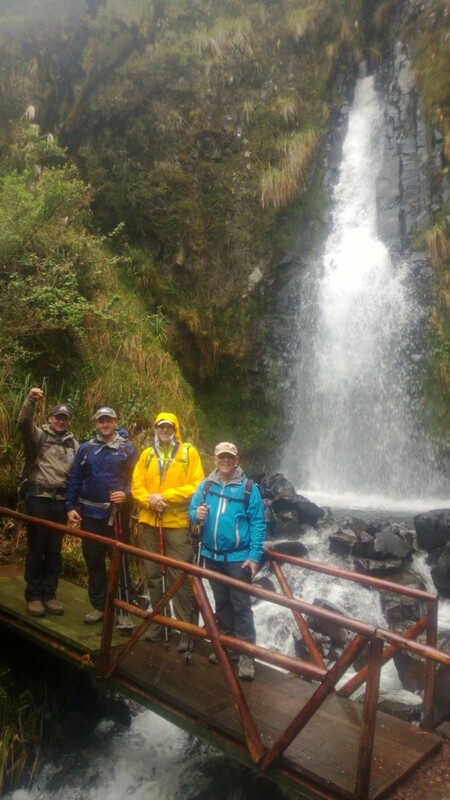 Tomorrow we will be taking a second acclimatization hike up to 16,000 feet. Time for me to hit the hot pools, ciao.